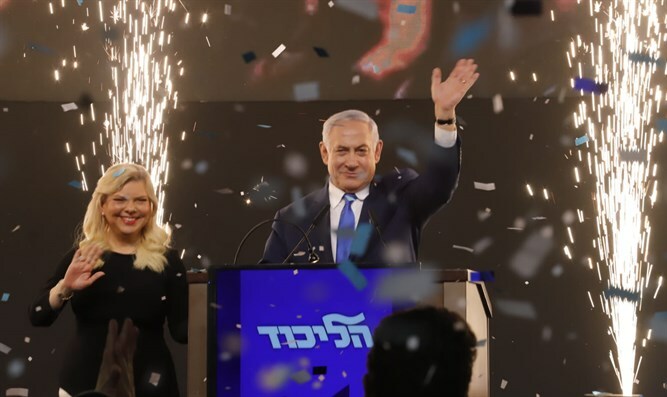 Dr. Hagi Ben-Artzi, a lecturer at Bar-Ilan University and brother-in-law of Prime Minister Netanyahu, welcomed the victory of the nationalist camp. "Now that Bibi has explicitly announced that he will apply Israeli law to all the settlements in Judea and Samaria, I congratulate him, ‘Be strong and have courage.’ I really admire this couple, Bibi and Sara, who sacrifice themselves and enter a fifth term. I also give encouragement to Bibi to succeed in the legal process, most of which sounds fabricated, and he should continue to lead the Jewish people with full force."